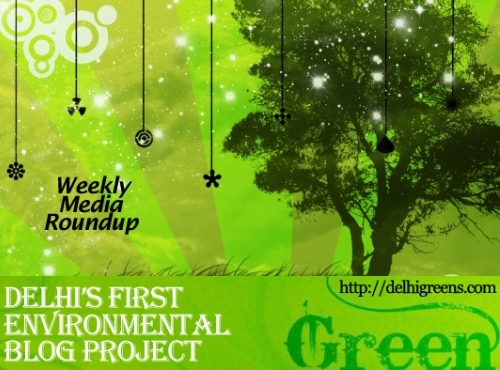 Weekly green news update from across different media networks for week 13 (between March 28 and April 03) 2016. The menace of toxic emissions at petrol pumps in the national capital has come under the lens of the National Green Tribunal which has asked the Centre to respond to a plea alleging lack of air quality norms at fuel stations. Despite a ban on the burning leaves and waste, three huge mountains of garbage have been smouldering for days near the outskirts of Delhi, expelling more toxic fumes in the world’s most polluted city. Starting Friday, vacuum cleaning will start on the Capital’s roads along with green makeover for the bald patches in an attempt to fight the menace of dust. After delivering on his promise to vacuum clean streets and plant trees on bald patches under his jurisdiction, Chief Minister Arvind Kejriwal is expected to give deadlines to several government departments to take on dust pollution across the Capital early next week. Four months after targeting the affluent for using diesel cars and polluting the air, the Supreme Court hinted on Thursday that even the aam aadmi who opt for the fuel will not be spared. The lifeline of the city is dying. The statement won’t cause a controversy or shock anyone these days. With land regulation along the Yamuna remaining lax, there is danger ahead. In response to a petition concerning unauthorised extraction of groundwater, the National Green Tribunal Thursday directed the Delhi Jal Board to submit a list of hotels which were extracting groundwater without prior permission from Central Ground Water Authority. The National Green Tribunal today directed Delhi Jal Board not to surrender the amount allocated to it in the last fiscal for rejuvenation of Yamuna to the Delhi government. In a first-of-its-kind initiative, two Delhi-based environmental conservation organisations have created a tree map on which they have represented 59 key species of trees in the capital. National Green Tribunal has rapped the Delhi government over delay in devising strategy for better implementation of pollution control laws and directed it to convene a meeting in this regard within two weeks after a plea drew attention to violation of rules during weddings. The National Green Tribunal has recently issued notices to the ministries of environment, water resources, and health, asking for their comments on microbeads found in personal care products. The smell is the first thing that hits you — a foul mixture of nitrous, lead and sulphur dioxide fumes — before your eyes start to water. A high-level committee of the Central Pollution Control Board in Delhi has summoned municipal commissioner Ajoy Mehta, the urban development department secretary and the environment secretary on Wednesday, in connection with the Deonar dumping ground fire in Mumbai. The chronic air pollution blanketing much of northern India is now threatening the holiest shrine in the Sikh religion, making the once-gleaming walls of the Golden Temple dingy and dull.